jason71668 – Hi, I would like to add as well that the application process for the Travel Clearance does not end up with CHED. You still need to go to Bureau of Immigration for the actual permit. I called BI a while ago and they told me that the processing time takes at least two weeks just to grant you that temporary permit. I find this absurd as I was able to go to Singapore with just the CHED clearance (for academic purposes), maybe I just got lucky. Make sure to keep all of those clearances with your passport as the Immigration guys still hold people even on arrival (which is again absurd). Im really hoping that they would speed up processing of requests as its too tedious and time consuming to process all of these. I am so grateful to Jason for sharing what he knew about the lifting of the hold departure order for CHED scholars. I never would have known about the more tedious process with the Bureau of Immigration (BI) because the CHED people said that the clearance that they will give to me is already enough – my ticket to freedom from the hassles of getting held at the airport. As far as I can remember, CHED nor AdDU never told us about this hold departure order during our orientation (was there an orientation?-I could not remember). It was not also explicitly stated in our contract. They should have told us about these things because it is our right. Actually, I also found out during my visit to Manila last week that people from CHED were not aware about the BI’s requirements. One of their staff accompanied us during my re-processing of my papers. Lucky us (CHED scholars) that she was there to submit some names that should be lifted from the hold departure order. It was a blessing in disguise because it was then that she knew that the clearance issued by CHED was NOT ENOUGH for us to get through the Immigration officers for travels abroad. If she wasn’t very nice to me, I could have felt very, very frustrated. So anyway, for the information of other CHED scholars who wish to travel abroad for training, work, or pleasure, after securing the CHED clearance, you should have it stamped by BI that you don’t have any derogatory record. Here’s a letter from BI stating the procedures on getting a ticket to freedom. 😀 este, ticket to International travels pala. 1. Get Letter Request addressed to the Commissioner from the Commission on Higher Education (CHED). – Actually this refers to the clearance that will be issued by CHED. 2. Bring Letter Request to the Verification and Certification Unit (VCU) of the Bureau of Immigration for checking of Derogatory Record. – Make sure that you have this photocopied and signed (received by BI) so that you will have proof that you submitted this document. Because in my experience, they “lost” my documents last December and I had to submit new documents again [ >:(] Grr..
a. Bring printout of the Derogatory Record to Window 5 and apply at LID for Allow Departure Order (ADO) or Lifting of Watch List Order (WLO). b. Pay corresponding fee of Php 500.00.
d. VCU stamps “NO DEROGATORY RECORD” on the Letter Request which can already be presented at any port of exit. a. VCU stamps “NO DEROGATORY RECORD” on the original copy of the Letter Request which can already be presented at any port of exit; or they may apply for Certificate of No Derogatory Record at VCU for P1,010.00. At first I was confused about derogatory records. Apparently, if your name was not yet submitted by CHED for lifting, you will fall under the category with Derogatory Record even if you already secured a CHED clearance. But if your name is already submitted by CHED for lifting, then your records will be clean (yey!!!) and you will fall under the no Derogatory records category. It is not stated in this letter but you also have to submit a letter request addressed to the BI In-charge. Should you have further immigration-related queries, please do not hesitate to call the BI Helpdesk Hotline at (63)(2)524-3824 or (63)(2)524-3769. I hope this post is helpful to you! 🙂 Happy traveling! Sana may pasalubong ako. Hehe..
Kmusta…..dyan ka na pala sa USEP nag work……long time no see…..tnx for the information…. Way back 2009, I went to CHED Manila to inquire about the procedure in getting clearance since i will accompany my mother to Australia…and according to them, I also need to ask clearance from AdDU, before they can give me clearance…. In my case, I’m also categorize with derogatory record…. Life’s been really exciting. Hehe… I’m not with the academe anymore but I am still open to the possibility of teaching after I have a taste of the industry. Anyway, are you still with your school? I miss our classmates na. Hope to see you all again soon. Mam Mylene, thanks for the very informative post…mam i just want to ask something; before i go to CHED for the clearance, do i need to present a letter from our school and from the university i took up my masters degree? is there any letter format for that? i hope for your very informative response mam.. Yes, you need to present your TOR from the university where you took your masters degree so that CHED will know that you have successfully obtained your masters degree. Also, you need to present the certification from your sending institution that you have rendered the required return service. Actually, wala pong natatanggap na letter o notice na may hold departure order ka. Ngunit kung may nalagdaan kang document o contract na nagsasabing hindi ka maaring umalis ng bansa for a number of years, malamang ay meron kang hold departure order. 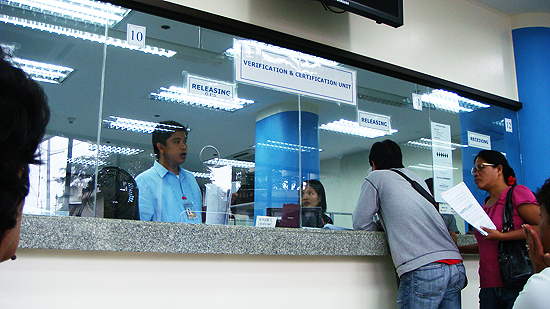 Ma-verify mo ito sa Bureau of Immigration. If may hinala ka na may hold departure order ka, mas mabuting magtanong at i-verify ito sa B.I. ilang weeks bago ng planned departure mo sa bansa upang hindi ka magulat pagdating mo ng airport at harangin ng mga taga Immigration ang pag alis mo. hi, Im Bernadette Yao , I am also a scholar of CHED and as far as I know I can’t go to abroad for two years, I just graduated this year but since I was accepted in one of the hotels in Dubai, I am now confused what to do. I want to pursue my application in Dubai and wants to work abroad. What is the first thing I should do to get rid of the “Hold Departure Order’? And how much would I be paying to the Ched? I am not sure of the penalty fee or the amount you have to pay so that your hold departure order will be lifted. But what I am sure of is that there really is a hold departure and you will have to settle your papers first and secure the necessary papers so that you will be able to work abroad without the hassles. Thank you so much for your valuable information. Is it ok to wait for my contract first before I’ll go to Ched?and should I need to show my contract to them? btw, where is the main office of CHED-HEDP?? :)) Thank you again..
Hi! Is there a possibility that CHED will not give me clearance because I haven’t rendered 2 years of service here in our country? HI, IM ALSO A CHED SCHOLAR,BUT I WAS NOT ABLE TO FINISH MY MASTER DEGREE,AND IM GOING TO TRAVEL ABROAD, MY NAME IS IN WATCH LIST. WHAT ARE THE THINGS I SHOULD DO IN ORDER TO GET A CLEARANCE TO TRAVEL. AND AS FAR AS I KNOW, I NEED TO PAY CHED TO BE CLEARED . AND ITS QUITE EXPENSIVE I THINK 400,000 ABOVE … DO YOU HAVE ANY IDEA OR OPTIONS BESIDE PAYING CHED OR FINISHING THE DEGREE? Good day, we have same situations FE, i also wasn’t able to finished my scholarship program sa CHED. I just dont know kung how much would i be paying for i was only able to enjoy the CHEd scholarships for 1yr &1 semister… anyone whos has an idea where should i start my document processing to get a BI clearance to travel abroad? Hi Mylene–I think I saw a post where the HDO for all scholars regardless if they are CHED/DOST as per DOJ Sec. de Lima’s legal opinion. Hello, regarding my concern about my fear in going abroad for I am a CHED scholar, I found out during my visit to NBI to get my clearance that there is no hold departure order submitted to them by the CHED, one of the personnel told me that only DOST scholars have such records.In my case, I didn’t encounter any problem for my clearance and no problem at all at the immigration, I am now in Dubai. I am just thankful that I didn’t encounter any problems! This is my first time to go to this page and guess what? your experiences coupled with the significant information you mentioned in this page are indeed educational.I am on my way OF having my self cleared by CHED for my scholarship grant completed in 2008.It is only now that I am prompted to work out on this for my future use. Having read your stories… I think I have gained a lot as against to waste of time, money , effort and above all golden opportunities at the right time…I would like to say FOUR words only to this page. THANK YOU VERY MUCH! I have a hard time on how to get it and also to secure the permit to travel at BI since there is no person to authorize in my behalf. Oh..that’s sad to know po. I was lucky because I have relatives here in Manila so I just authorized my cousin to get the clearance for me. It really takes a long time to process those documents. I also gave my cousin money for her fare and snacks. Hehe. Hello again! Im back with pasalubong of infos. I have bad and good news. First off, the bad news. Unfortunately, the satellite office of BI in SM North still doesn’t have the capacity to issue clearance (although the BI websites says that it does). The staff says that the only service they offer as of the moment is extension of foreign visa. Haaay, good thing I verified first by calling their office. Whew! Hi Paul! Thank ng super dami for leaving very informative comments on this post. Sorry if now ko lng na approve ang comments mo ha.. now lng kasi ako nkapag net ulit. Good luck and happy trip!!! Hi Miss Myles! 🙂 Is this true that CHED is no longer putting scholars on watch list? i keep callign CHED FDP office today but no one answers. Do u have any idea what number to call? Thank you very much. Hi! Thanks for this blog. It’s very helpful. I’m also a CHED scholar still awaiting my travel clearance. How long did it take you to process your BI clearance? Thanks! I am almost 2 years late in replying but I don’t really know the answer to your question. I haven’t been living in the Philippines for a quite a while now. Hopefully you got your answer from other sources though.